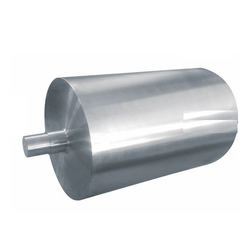 Our organization is a well-known name engaged in offering a wide range of Permanent Magnetic Pulleys. Manufactured using superior quality raw material, these pulleys are known for their compact designs and simple operation. Moreover, owing to their easy installation, low maintenance, these pulleys are widely used in coal mining power and sugar refining industry for recovering steel dregs and iron removing. Permanent Magnetic Pulleys are made by our company are widely used in the recycling industry to separate ferrous from non-ferrous items It has strong magnetic field, so it can generate huge magnetic force and have large separating ability.These magnet pulleys are high in demand and find their application in various industry.Also are available competitive market rates. Looking for Permanent Magnetic Pulleys ?